Home Nefetiti Will African Footballers Resurrect The English Premiere League? 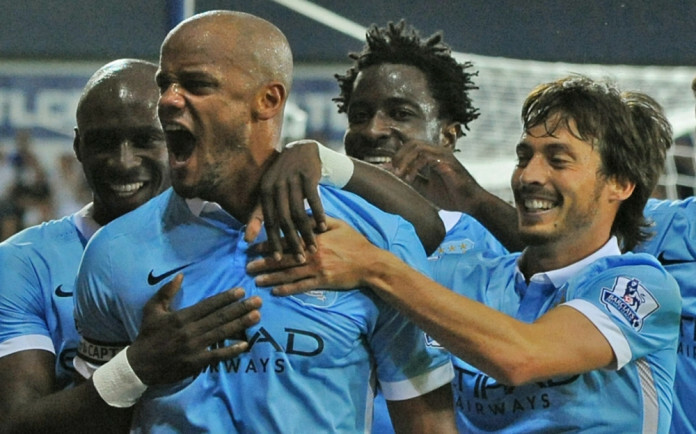 Will African Footballers Resurrect The English Premiere League? Mangala, Kompany, Bony, and Silva celebrate a Manchester City goal. England’s Premiere League boasts a variety of football that is universally understood to be an unfashionable game comprised of cross country runners bumbling into one another and kicking the ball with two heavy left feet, further encumbered by routine bloody encounters and countless yellow cards. In its last season, the League suffered from a debilitating drought of talent. While its top team, Chelsea, won the league by a comfortable margin, the Jose Mourinho-led club was more infamous for its unappetizing style of play, which opponents criticized as boring. Though many might still yawn during a Chelsea game, the English Premiere League itself has nonetheless stripped away some of its lack of appeal, that is, with the injection of more African footballers. The game of football played in African nations, similar to that in Brazil, is one inspired by rhythm, dance, fanfare, and teamwork. Although teams enter the game with a plan and compose some choreographed plays, moments of spontaneity and ingenuity overshadow the formulas. It is the delicate combination of power and finesse that make the game so beautiful. Precisely this brand is what African footballers infuse into the stiffness of the European Premiership. Chelsea recently signed Abdul Baba Rahman, a 21-year-old footballer from Ghana. In his first two games for Swansea City, Ghanaian attacking midfielder Andre Ayew already has scored two goals. Every time Congolese winger Yannick Bolasie touches the ball, Crystal Palace fans ring the stadium with cheers. They would love a goal, of course, but more thrilling is the way Bolasie dances to evade defenders and the creative ways he, Cote d’Ivoire striker Wilfried Zaha, Senegalese defender Papa Souare, and attacking midfielder Jason Puncheon create space between themselves and opposing players. While we most certainly will forget the number of goals any player scores, if the dance is memorable enough, we hardly will forget the way he scored them. The Chelsea that fans the world over have come to know and love once featured Cote d’Ivoire’s Salomon Kalou, a winger, Didier Drogba in the striker position, Ghana’s Michael Essien as midfielder, and Englishman Ashley Cole and Congolese Claude Mkelele in defense. Jose Mourinho has led previous teams at Chelsea, InterMilan, Real Madrid, and FC Porto to glorious seasons: But without any resuscitation to bring Chelsea back to life, it is unlikely that the team will fare well against other top teams this season. 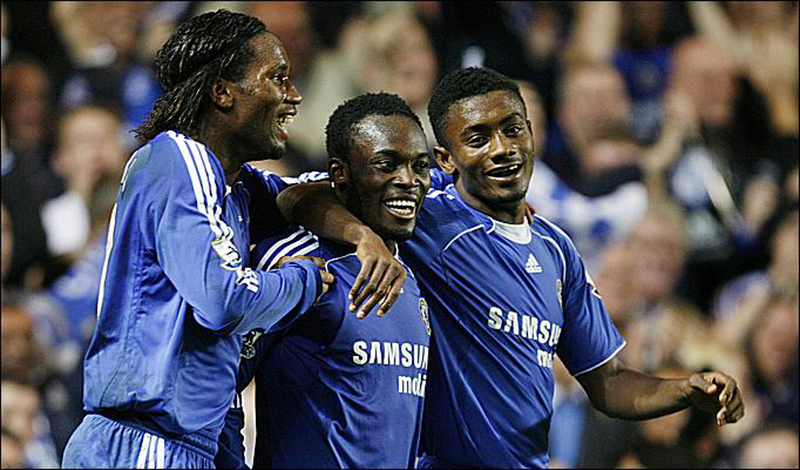 Chelsea’s best season was achieved with the skill of African footballers, like Drogba, Essien, and Kalou. At present, Chelsea is under pressure from its 3-0 loss against rival Manchester City. Despite Sergio Aguero missing a handful of point blank strikes just feet in front of the goal and multiple turnovers from David Silva, Manchester City was able to overcome these shortcomings with fluid play from its star midfielder Toure, formidable defense from Mangala and Kompany, and strong efforts by Fernandinho and Wilfried Bony, who scored a goal in Manchester City’s earlier win this season. In the loss, Chelsea only briefly played defender Kurt Zouma and attacking midfielder Juan Cuadrado. What’s more, the club entirely failed to play Nigerian defensive midfielder John Mikel Obi and forward Loic Remy—mistakes that considerably aided Chelsea’s downfall. What will it take for a team like Chelsea, the reigning English league champions, to experience its first win of the season? Surely a few substitutions wouldn’t hurt. If Jose Mourinho wants to keep his team at the top of the league, he would benefit from an uptick in recruitment of African players—or at the very least playing the ones he overlooks on the bench. After a summer of reluctance, Chelsea has recently begun to follow the pattern of boosting its roster with more talent from the mother continent. 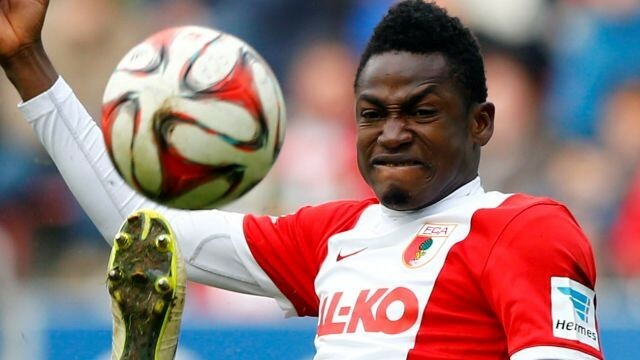 In an agreement with FC Augsburg, Chelsea signed Abdul Baba Rahman, a 21-year-old attacking full-back from Ghana. Rahman, who will wear number 17 for Chelsea, also plays midfielder or winger. If he plays, Rahman will no doubt bring energy to an overstressed and overhyped club. This very resurgence of life could be enough to bring the top team back from the doldrums. Interesting, very interesting. I see that Manchester City has greatly peppered their squad. And it has paid in more ways than one. They play beautiful attacking soccer and they beat Chelsea amply. With Baba Rahman, Chelsea will have a short way to go to catch up with Manchester City. I wish Chelsea had acquired the services of Bonnie. He would have strengthened that offense.